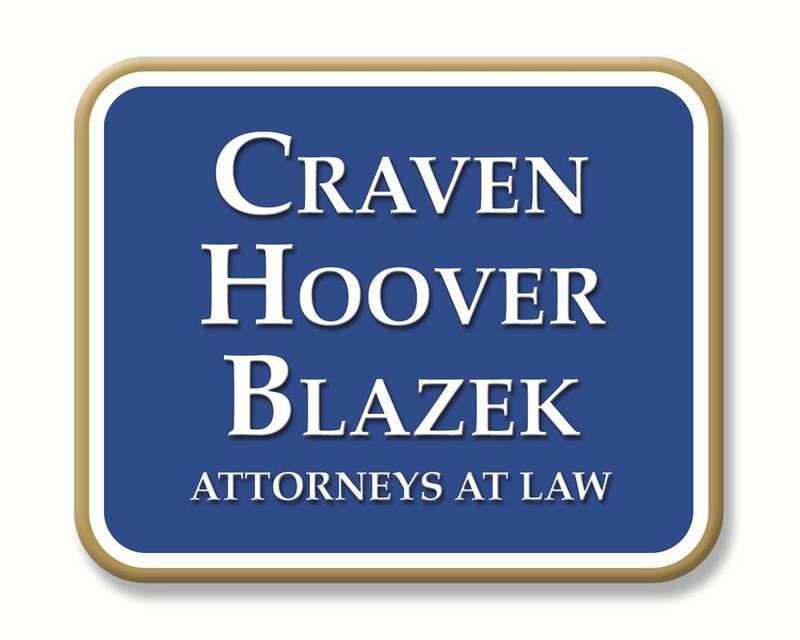 The Steps to Hiring a Personal Injury Lawyer | Craven, Hoover, & Blazek P.C. After being injured in an accident that was no fault of your own, you need a competent and tough personal injury lawyer in your corner to protect your rights and ensure you receive the full and fair compensation you deserve. The potential compensation you may be owned is imperative to help pay for medical expenses, hospital bills, time off work, and additional financial losses. But if your accident and injuries were egregious, the courts may award punitive damages as well, in order to make up for losses such as pain, suffering, loss of companionship, loss of professional vocation, prolonged rehabilitation, permanent disfigurement, mental anguish, wrongful death, and much more. 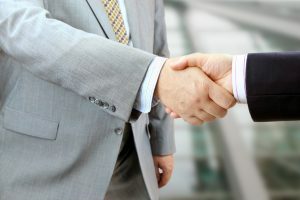 A licensed accident attorney is the only one who will be your true advocate during your legal battles, and will stop at nothing to recover the compensation you deserve after an awful tragedy.When it comes to hiring a personal injury lawyer, there are a few recommended steps to take to ensure you find an experienced and competent attorney for your legal needs. 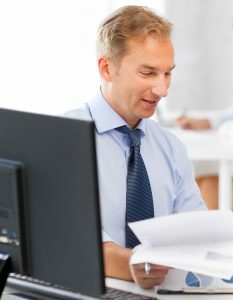 Continue reading to learn which steps to take in order to find and hire the right personal injury attorney for your accident claim. As soon as you, or a loved one, is capable of making a call to a personal injury law firm, this must be done. It is common to call directly from the hospital, because the sooner you retain professional legal counsel, the better your chances of recovering full recompense for your losses. It will give the attorney a head-start in investigating and researching your case, and allows them to gather all the necessary evidence and facts to negotiate your remuneration. It also allows them to speak on your behalf to insurance adjusters and other investigators, to make sure you do not say anything that can compromise your case. Make this call as soon as you are physically capable. If your accident was serious enough to be unconscious or unable to move, have a loved one make the call for you. Personal injury law firms generally offer free initial consultations to discuss your accident and determine if you have a valid case. For this reason, there is no need to be anxious about making the call to an attorney since there is no out-of-pocket obligation whatsoever, until they win your settlement. That is right; most personal injury lawyers also work on a contingency fee basis, meaning if they do not recover compensation for you, you pay nothing for their services. This is a sure-fire way to know that a personal injury attorney is doing everything in their power to win you the compensation you deserve, otherwise they do not get paid either. For less extreme injuries, or those that show up after some time (which is very normal, especially in car accident cases), you may have some more time to look for a qualified attorney. Either way, be sure you call a personal injury lawyer that is experienced, esteemed in the community, and has represented similar cases to yours. This is a good way to gauge whether or not a lawyer is qualified to represent your case. Start online, looking up different personal injury law firms in your town. It is wise to read client reviews and check for licensing. There are attorneys out there that are dishonest and claim they practice personal injury law when they are actually a divorce lawyer or other practice area that is completely unrelated. 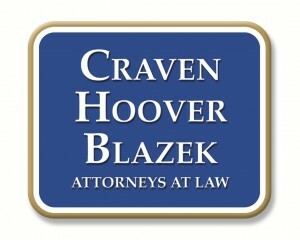 Call The Law Firm of Craven, Hoover, and Blazek P.C. at 317-881-2700 for personal injury claims in Indianapolis, Indiana. Attorneys Daniel Craven, Ralph Hoover, and Keith Blazek have extensive trial and litigation experience, and have practiced personal injury law for decades. We offer free initial consultations and never collect attorney fees unless we prevail for you. Call 317-881-2700 to schedule a free case evaluation with a respected personal injury lawyer in Indianapolis, IN today. This entry was posted in Personal Injury and tagged file a personal injury claim, Indianapolis Personal Injury Attorneys, Indianapolis personal injury lawyer, Personal Injury Attorneys, personal injury facts, personal injury questions. Bookmark the permalink.